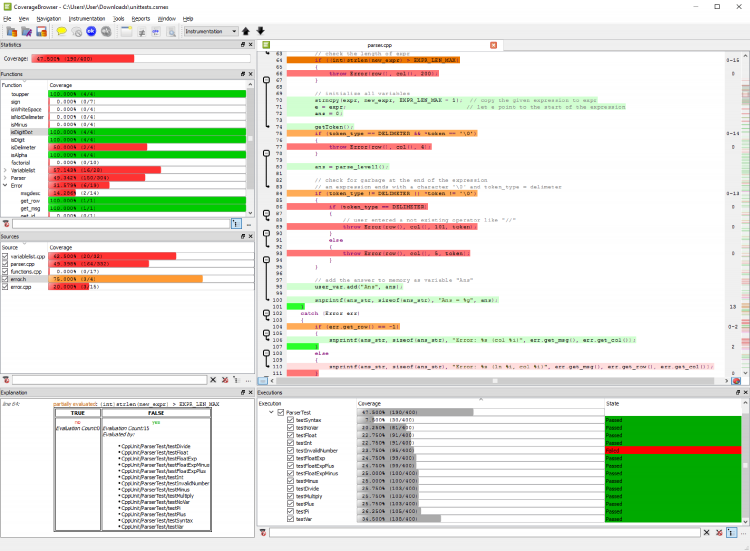 Cross-platform and cross-compiler code coverage analysis for C, C++, SystemC, C#, Tcl and QML code. Coco is a multi-language code coverage tool. Automatic source code instrumentation is used to measure test coverage of statements, branches and conditions. No changes to the application are necessary. Executing a test suite against an instrumented application produces data that can later be analyzed. This analysis can be used to understand how much of the source code has been hit by tests, which additional tests need to be written, how the test coverage changed over time and more. Get started with Coco today! Get your free and fully functional Coco evaluation copy today. We include free evaluation support for your benefit! Be the first to hear about new product releases. We will send occasional newsletters about new releases, features or company-related events. "So far the tool has performed well. We are also quite happy with the features your tool employs and it's significant advantage over it's competing products in the market." "In a complex case, I have used Coco for coverage analysis. It worked out of the box and made a very good impression to me and my colleagues." Watch the recorded webinar to gain insight into your testing coverage. Identify redundant tests, untested or dead code. 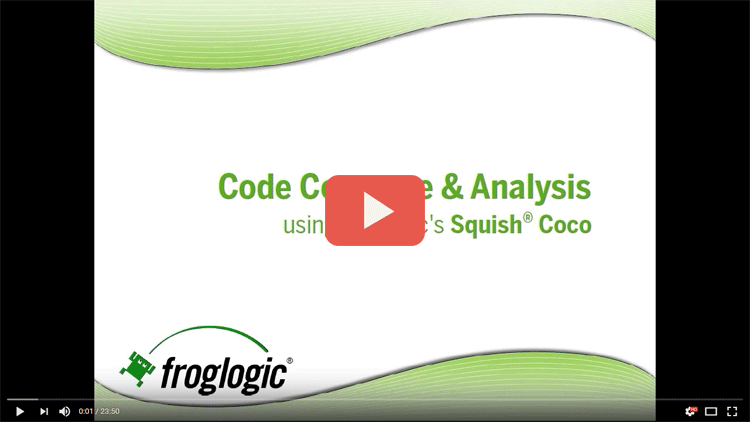 Identify the impact of a patch on the code and code coverage & your testing.